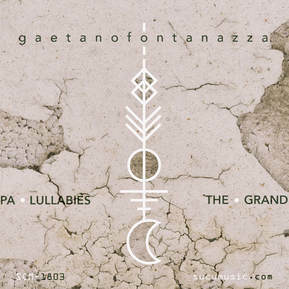 “Alea iacta est, luck or chance, may well be the ideas navigated by the musical work of Aiggom Gaudium (pseudonym Sebastian Moggia), in his first publication in Pueblo Nuevo, who does justice to the name of this EP in a way that is mysterious and almost cryptic. Translated into English, the title of the album means ‘the luck is cast’, probably in reference to the artistic courage of trying to control the uncontrollable through music. The development, a mixture between the past and that which ensues through time, are shown here in an amalgam of references through which the author moves -and has moved before-, comfortably, as much in the mixture of styles with denomination of origin, as in the resulting sonorities and a musicality of neat technical style. “From Viña arrives to Pueblo Nuevo the interesting project Aiggom Gaudium, the intellectual property of the musician and producer Sebastián Moggia, whose name has been hitherto unknown in the small world of electronic music, and who makes his official debut with this collection of 4 tracks entitled ‘Alea Iacta Est’. Sebastian, as he himself has defined it, travels in this EP through past lives in different personal projects and styles, as much within electronic music and outside it, including techno, house, psytrance, drum & bass, chill-out, jazz and classical music. In this work he constructs with delicate electronic and acoustic elements musical passages of an instrumental nature that ignite in distinct moments, and with varied textures, the omnipresent and conceptual darkness of the author. We move here through different scenes and sensibilities in an environment that is dark, but developed with “plot and drama”, with an emphasis on the subtlety of well-produced and mixed synthetic sounds, orchestrated environments, dancing to the sound of good beats and percussion loops. Sebastian here presents stories, with developments and a kind of script with distinct scenes in a single musical tour, as in his beautiful track ‘I’m Late’, which delights with its pianos, synthesizers and voices processed through a path with different nuances and breaks. ‘Canto en Púrpura (Song in Purple)’ is another mysterious story of the composer, with good rhythmic movement from electronic and real drum loops, a bit like Massive Attack on their Mezzanine album, which holds warm touches of synthesized pads. An almost cinematic view of a desolate landscape, but exciting to contemplate. Todas las canciones compuestas y arregladas por Empecinado Flores. Queremos agradecer, en primer lugar, a nuestras familias por el apoyo y la paciencia. También queremos dejar estampado nuestro recuerdo para quienes nos acompañaron y ayudaron durante todo este camino: Marianela León Barreto, Majo Barreto, Fátima Armesto, Valeria López, Martín Rumbo, Ana Laura Duarte, Malena Paz, Fabrizio Rossi, Iván Krisman, Daniel Marius, Sol Infante, Nicolás Caridad, Matías Maciel Schiavo, Joaquín Cabrera, Mauro Miramontes, Nicolás Rodríguez Pérez, Diego Segovia, José Luis Yabar, Carlos Loria, Mauricio Perrone, Diego Fischer y a todas y todos los que nos inspiraron a seguir adelante con este disco, para bien y para mal. Your head-cinema will do the rest if you listen to this EP. First let yourself go into an atmospheric dystopia, made of organic mutant-house grooves, sick bass-lines, acid-leads and effected sequences. Then this road-trip soundtrack of independent electronic music builds up upon the wall of sound.It can seriously influence your body chemistry by freak-frequencies. The results may alter as unusual moments of Contemporary Utopic Listening. Monofónicos Netlabel presenta orgullosamente el lanzamiento debut de Insanity Circle llamado “Ritual Of Colors”, un nuevo artista sobresaliente que llega a sumergirnos en la nueva era de la música con mucha vitalidad. Insanity Circle nos presenta 4 increíbles canciones donde el house más energético fluye sobre toda las fronteras del baile, pero jugando con nuestro cuerpo y nuestra mente en este ritual de colores donde el resultado es sumamente sorprendente. PARENTAL ADVISORY: non-sense EVP data (electronic voice phenomena). 3 days of sleep depravation (possibly way too much neural stimulaton due to sitting for a lot of time in front of computer). doing fine at the moment. feeling sleepy like hell at time of posting this record. recording will be updated in a couple of days. transparent points on four axes is a layered, electroacoustic studio collaboration. each track began with a ground layer of a composed or improvised performance on double bass or synthesizer, in tandem with a directed, auto generated soundscape produced by an analogue modular synthesizer. the tracks were finished with a further layering of synthesizer, electronics and percussion. daniel barbiero: double bass (2, 5, 6, 7 & 8); sylosynth app (1 & 3); microbrute synthesizer (4). ken moore: crackle box (2); minimoog (8); emax sampler (1, 5, 6) ; tam tams (3, 4, 7); steel pan drum (8); glockenspiel (8); bells, bowls and other percussion (all tracks). dave vosh: analogue modular synthesizer (all tracks). recorded january & february 2018 in silver spring md, upper marlboro md, and cuyahoga falls, oh. assembled in cuyahoga falls, oh, february 2018, at anvil creations studio. cover photography courtesy of hollishots by mark hollis, baltimore, maryland. On the 14th anniversary of formation, Projekt Luty met in the Nad Garażen Studio for a 140-minute recording session, which after endless remixing and appendixing became the 14th album by the band. For those of you who love genredropping: semi-improvised tranceful parakraut-grunge’otronic-post-punk-noiserock. Joyfully jittery in autumn spirit. Macaque Records is proud to announce the release of the third album in its discography, the experimental Cedar St // Acacia Ave by Sams n. Choppy beats, sparse vocals, looming atmosphere and odd tangents augment this unique collection of music. Get lost in the curves and pulses of the record tonight! Collaboration EP between our staff member ps and the German project OKAM. Four tracks of a journey through time and space. Dark ambient cinematic sounds riddled with field recordings and influences from shoegaze and breakcore. Half Evidence (a french free improvisation duo formed in 2012 by Charles premier & Kecap Tuyul) is currently on hiatus since summer 2016 but their story isn’t finished. Some new material will be published in 2019. Before finalizing these projects, the duo has selected four of their favorite tracks that were given to various compilations (namely Necktar 2017 curated by Ed End on his netlabel Le Colibri Nécrophile and Classwar Karaoke). The resulting album Épiphytes brings four insights on the duo’s works and can be a good way to discover their sound universe and its evolution across the years. MalLabel Music is serving it up piping hot and fresh this week, as Denver, Colorado’s Taco Truck slathers the bass in hot sauce and delivers ‘Flour Power’. Taco Truck is a passion fueled project through and through. With tounge-in-cheek humour behind the brand and serious skills behind the decks, this MalLabel debut is bound to become an instant darling among producers and fans alike. Taco Truck is dripping with booms & claps, snaps and genre bridging gaps. Smattered with sassy samples ‘Flour Power’ takes low end sentiments and weaves them through footwork, DNB and even a scattering of light house before dropping us off in a classic, glitchy, grimey and deliciously deep place. His ability to weave in highly technical patterning with quirky, girthy drops shows a skill set not to be underestimated. “Rasgos Particulares” is Javier Moraga’s debut release in Modismos catalogue. Its electronic influence can be traced back many years, through diverse publications inside specialized netlabels like EPA Sonidos and Pueblo Nuevo. He is part of the group Mr & Oso, while also working at Radio Valentin Letelier, the University of Valparaiso’s radio station. He produces the program “Sala de Maquinas,” as well as producing direct presentations and selects synthetic sounds for the station through it’s network, among other things. “Rasgos Particulares,” present delivery could be a sample about Moraga’s interests with contemporary electronic, where certain tone quality is acidic and minimal, as small condiments, they go extending upon alternating atmospheric layers, sustained on defragmented pulses, but traces of the music continue. These particular traits are expressed in the track “Tierno Salvaje” dedicated to the memory of Kurt, a figure that insufflated the spirit of the underground scene of Viña Del Mar and Valparaíso in the nineties, which opens the 52 minutes of music. The other tracks of the album spin perfectly, traveling through titles such as “Miaucheck,” “Arena Lunar (a lo salvaje)”, “Dame Cinco”, at certain moments there is something dark, with minor scales in the tones, a cinematic fiction of the digital reality that we consume daily, but allows us to unwind, yet expresses a world where the organic, virgin and primitive can coexist, as expressed in “Cayehuque (localidad)”. But the continuous progression in “Simulación Colectiva,” runs as a transit towards the final melody of “Rasgos Particulares,” from which a flash of faint light seems to emanate; it comes to a definitive closing with “Resolana.” Which offers a halo of light, in where the final harmony, reiterative and kaleidoscopic, solve all anguish, torment and conflict preceding, balancing the darkness.